Hey Lovelies and a very good Day For this Saturday ahead. 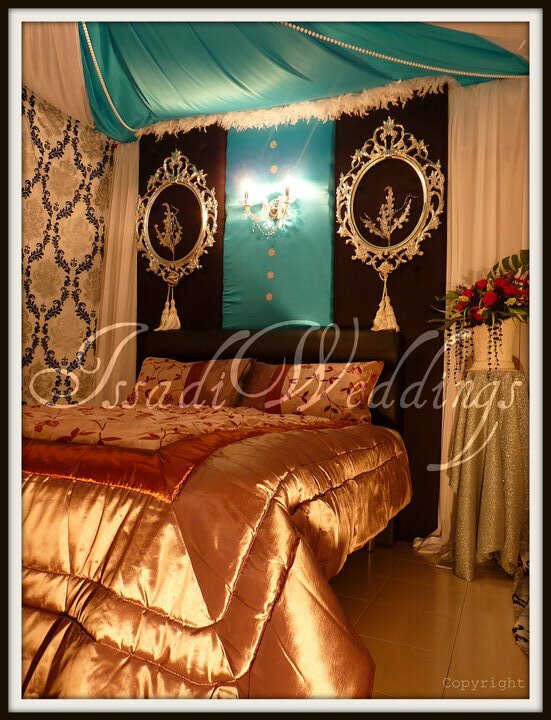 Before i begin other stories of the day, there is these particular wedding style by Issadiweddings Decor and readers, you can simply click on your Facebook by the name and you will be link to their page where they display a wide variety of exquisite designs they have made. 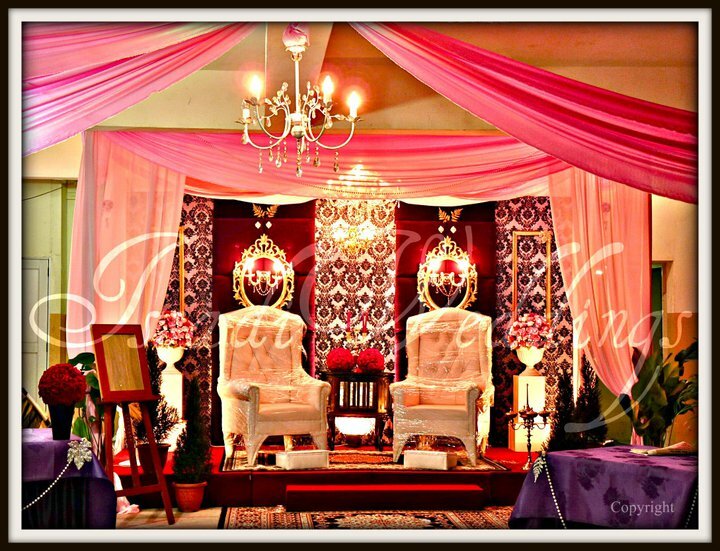 One thing that touches my attention is their touch of combination between damask designs and also the collaboration of chandeliers and colour setting. 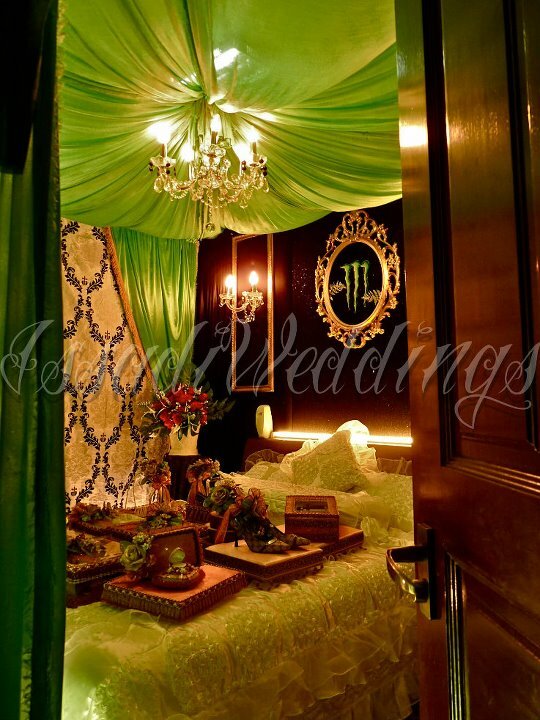 As all would have guess my No 1 love is a damask pattern – Victorian style, and so these are the few pictures of their bridal bedroom designs which i like and seriously recommend all to consider getting their assistance for you big day. 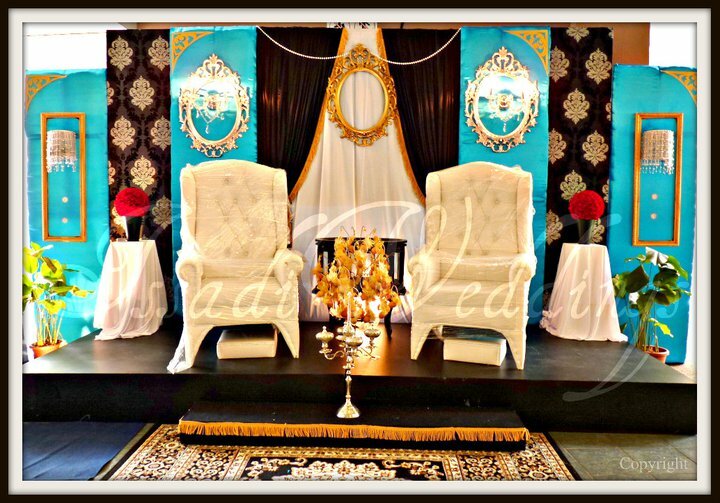 Exquisite isnt it. 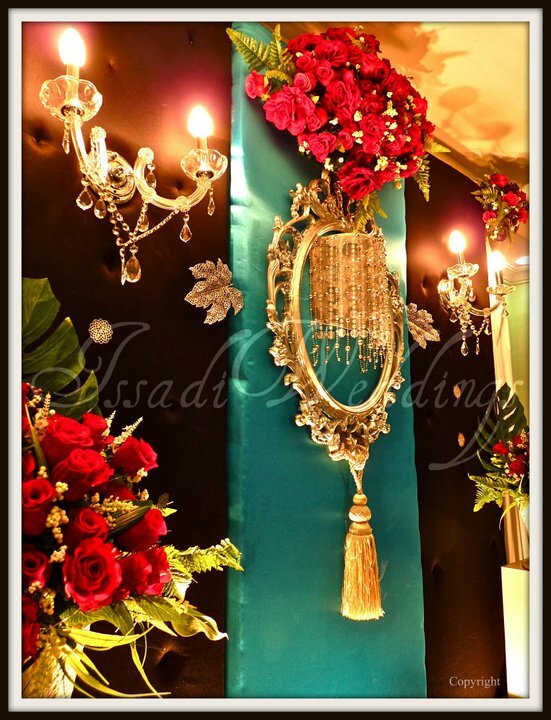 The details are simply finest and they are of newest era and collaboration of excellant colour theme! !